Ever since its birth in the late 1990s, the online casino industry has largely focused on replicating and improving the gambling experience that is available to players at traditional offline establishments. That approach has helped online gambling to become an accepted pastime in many countries around the world, but the industry is now beginning to see the emergence of what could turn out to be a point of focus for the next decade or two, and that is skill-based gambling. Skill-based gambling games, as the term suggests, are ones in which the player has the opportunity to exercise his skill in an effort to increase his chances of winning. A very small number of traditional casino games, such as poker, video poker and blackjack, involve at least some element of skill, but the outcome of the vast majority of traditional games, such as roulette, craps, slots, keno, sic bo and so on, are determined entirely by chance. Whilst many people are quite happy to leave their prospects of winning to chance, there are just as many who would much prefer to play games in which they have an opportunity to improve their odds by developing their skills. Of course, having the opportunity to develop skill to the point where one can win consistently is not quite the same as doing so, and proof of that can be found in the number of players who are able to consistently make profits at the poker or blackjack tables. However, the knowledge that winning more often than not really is possible if one develops the necessary skills is something that can make skill-based games more attractive than their chance-driven cousins. Several skill-based games have already been introduced at both offline and online casinos, including a zombie-shooter called Into the Dead, a word game called Lucky Words and a fruit-swiping game called Smoothie Blast. These title, and others like them, are proving to be quite popular, especially among those who have grown up playing computer and console games. 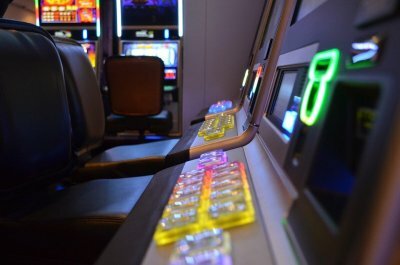 The console game generation is used to spending lots of time with a single game in order to become better at it and to win more often, and so the opportunity to win cash prizes by taking a similar approach to skill-based casino gambling games is incredibly appealing. Most human beings are competitive creatures, and love nothing better than to develop and prove their abilities to others, be it through sports, the arts or business. Skill-based gambling games allow players to pursue this natural inclination and to be rewarded with cash prizes if their skills have been developed to a high enough level. There will always be casino players who seek nothing more than the chance to win cash by getting lucky, but skill-based games are perfectly positioned to attract a brand new population of players who would prefer to compete with the house on more competitive terms. For that reason, skill-based gambling is something that looks set to explode in popularity over the coming years. Click here for more useful information in the gaming world! 24 Sep 2018-Offer valid as of date published. T&Cs apply.